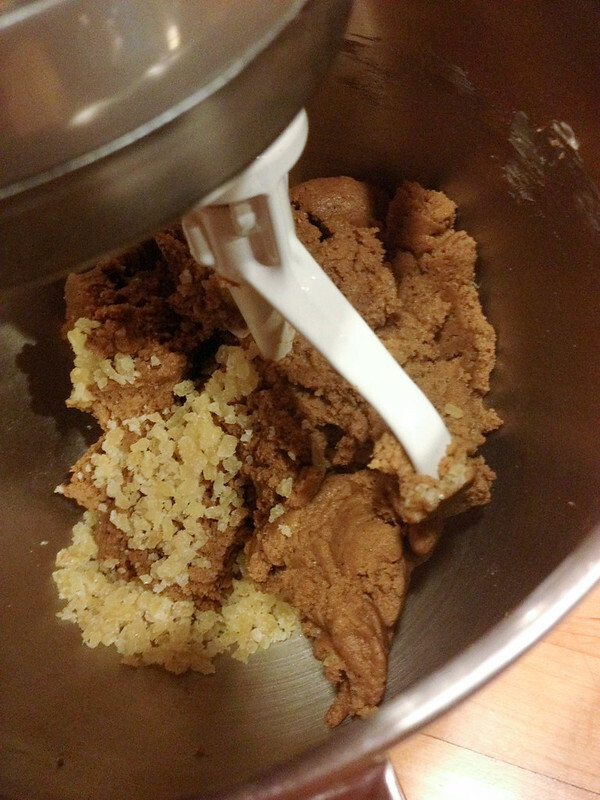 Sift dry ingredients together – flour, baking soda, ground cinnamon, ground cloves, nutmeg, ground ginger, and salt. Set aside. 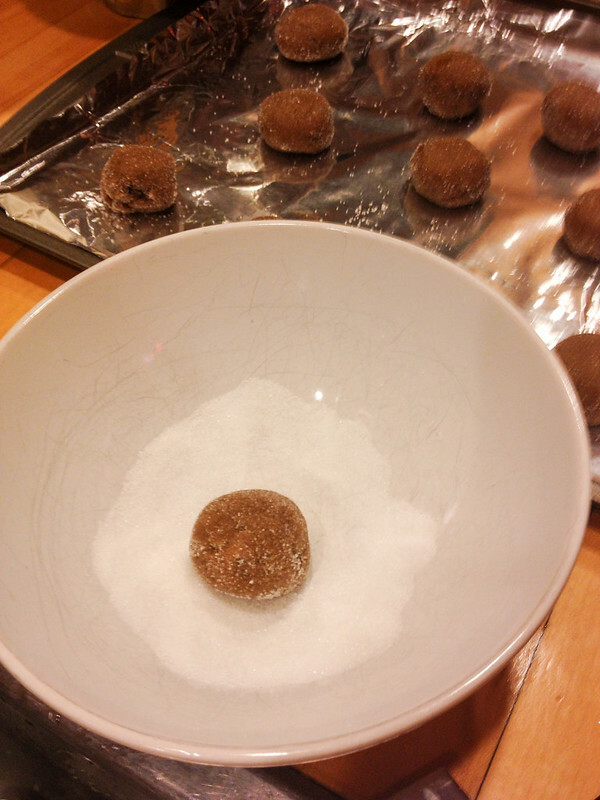 Mix the wet ingredients together separately – sugar, packed brown sugar, and molasses. 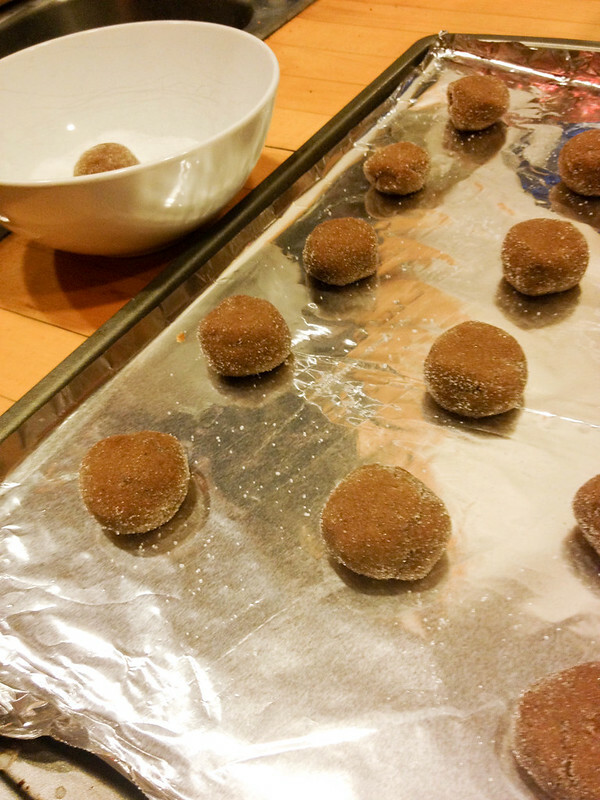 Place on baking sheet and lightly flatten the balls. Bake for 13 minutes or so (I used the bottom rack). 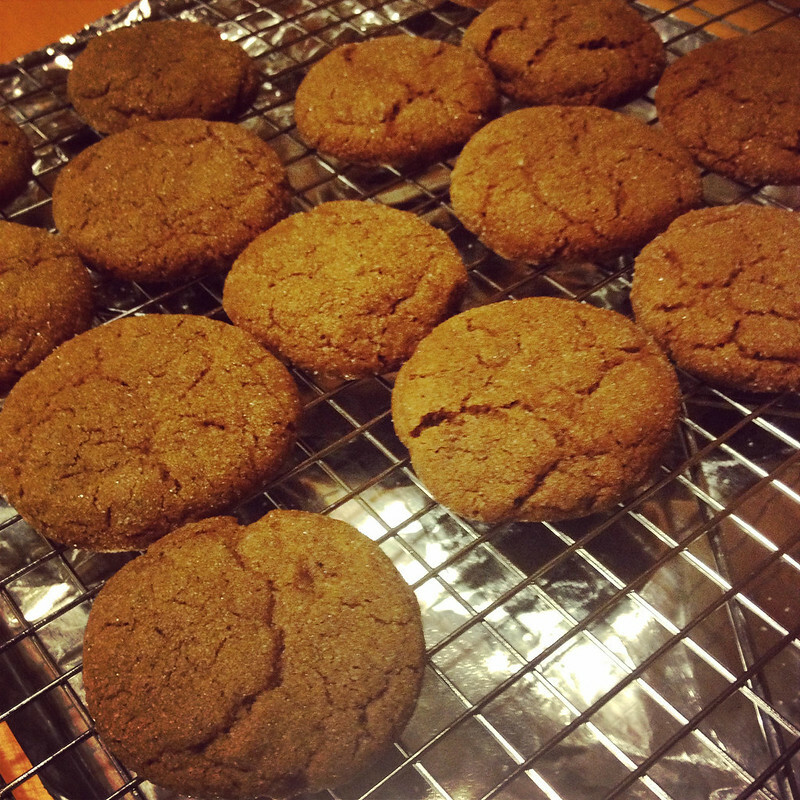 These cookies would definitely freeze well, but good luck not eating them immediately :). placing and ready to bake!